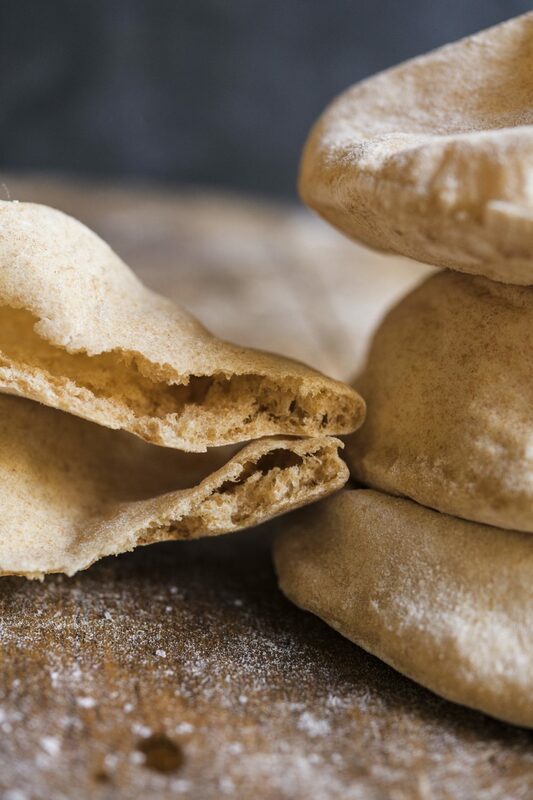 This pita bread, made with whole-wheat flour and whole-milk yogurt, is full-flavored and has a pleasant chew. To ensure the breads puff nicely and form pockets, they're baked two at a time on a heated baking steel or stone. We preferred a stand mixer for making the dough, but a food processor did the job, too. To make the dough in a processor, combine the flours, yeast and sugar in the work bowl and pulse until combined. Add the water, yogurt and 2 tablespoons of the oil and process until a smooth, slightly sticky ball forms, about 1 minute. Add additional water, 1½ teaspoons at a time (up to 2 tablespoons total), if the dough feels too dry. Let the dough rest in the processor for 5 minutes, then add the salt and process until smooth and pliable, about 1 minute. Knead by hand on a lightly floured counter for 1 minute, then transfer to an oiled medium bowl and turn to coat. Cover with plastic wrap and let rise in a warm, draft-free spot until not quite doubled in bulk. Continue with the recipe from the third step to shape and bake. Store leftover pita in a zip-close bag for up to a day; to wrap the pitas in foil and heat for 4 minutes at 300°F. This chewy, rich chocolate cookie uses an unorthodox one-bowl mixing method that is easy and cuts down on cleanup. 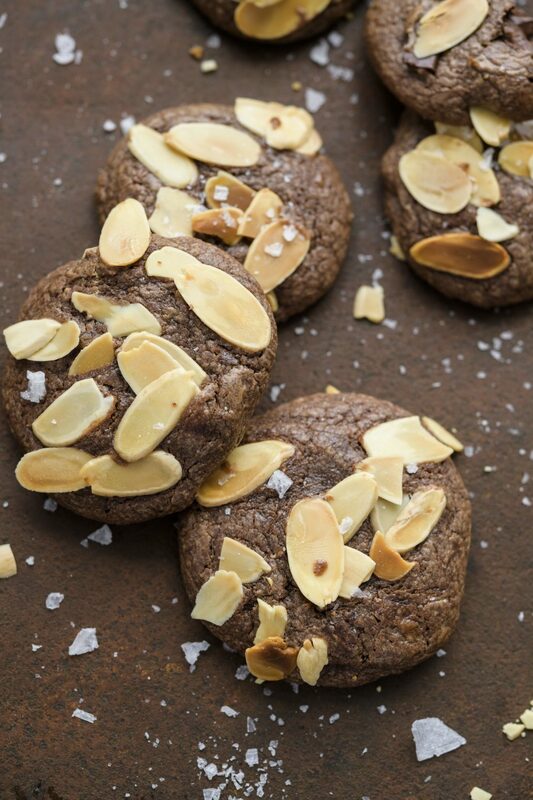 The almond butter keeps these cookies moist, fudgy and almost brownie-like. We liked them with sliced almonds pressed onto the tops, but they can be left off, if you prefer. If the dough is very sticky when you try to shape the cookies, allow it to sit for 5 to 10 minutes. As the milk chocolate solidifies, the dough becomes easier to work with. White balsamic vinegar has a mellow acidity that complements the tangy Peppadews, a variety of small, sweet peppers grown from South Africa. They add a slight heat and additional sweetness to the dish, as well as great color. Find them jarred at most grocery stores (and sometimes loose at the olive bar). When reducing the sauce before serving, if the liquid is less than 1 cup, add water. To prepare the chicken, cut each breast lengthwise into ½-inch strips, then cut the strips crosswise into 1-inch pieces. 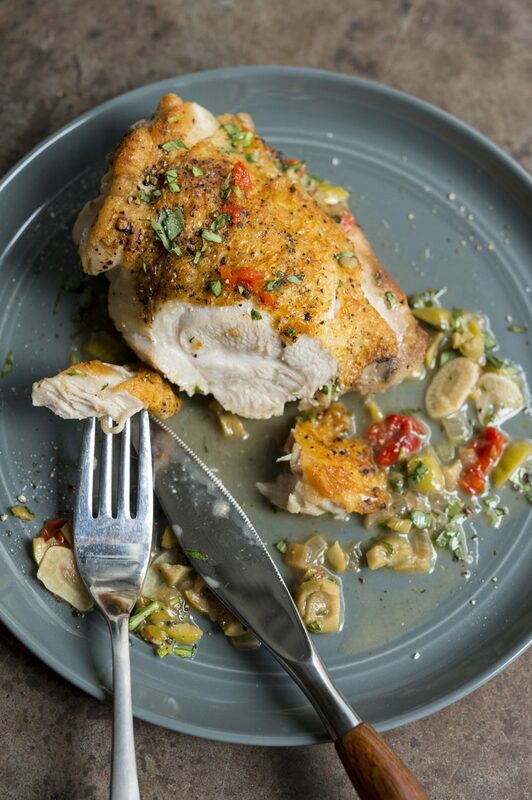 Using both chopped basil (mixed with the cooked chicken) and whole basil leaves (stirred in at the end) provided the full herbal flavor and fragrance we were looking for. 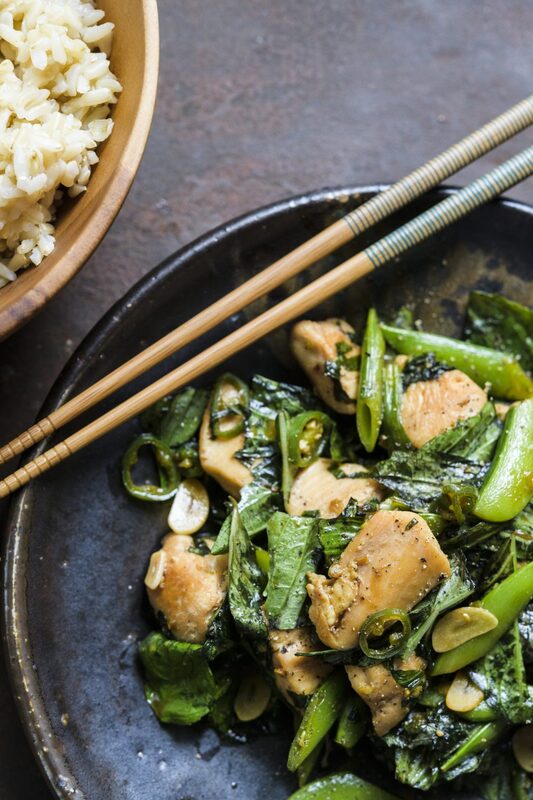 Serve with steamed white or brown jasmine rice.